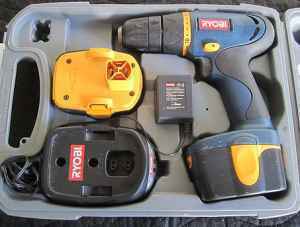 Ryobi 12v cordless drill with Set of Black and Decker Drill Bits Ideal for home projects, the Ryobi 3/8 in. 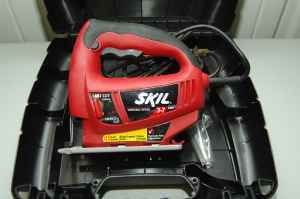 12-Volt Cordless Drill/Driver Kit includes a 12-volt NiCad battery, a 60-minute charger and a protective case so you can take its drilling and driving power wherever you need it. The onboard magnetic storage keeps bits and accessories handy, while the built-in bubble level helps ensure that your project is level. The over-mold grip offers a comfortable grasp as you work. 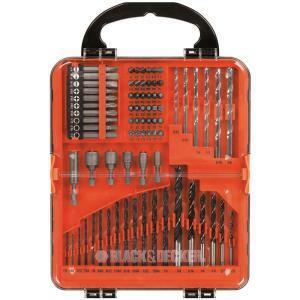 The Black & Decker 75-Piece Drill Bit Set includes drill bits ranging in size from 1/16 in. to 3/8 in., Phillips, slotted, square recess, star and Pozi-driv screwdriver bits, and nut drivers from 3/16 in. to 7/16 in. The screwdriver bits come in either 1 in. 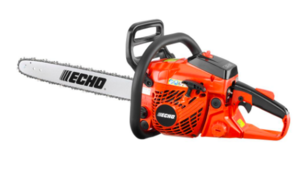 or 2 in..